We run coaching camps during all school holidays. All our coaching camps run in Hereford. Dates will be released during that holiday. The week runs from Monday 6th to Wednesday 8th August from 10am-2pm with the offer a free early drop off from 9:30am if needed at no extra cost. Children will require: football trainers/boots, playing kit, shin pads, drinks and a packed lunch. Hereford Futsal runs a Champions League Tournament throughout every school holiday and it is the most exciting format your children will ever experience. 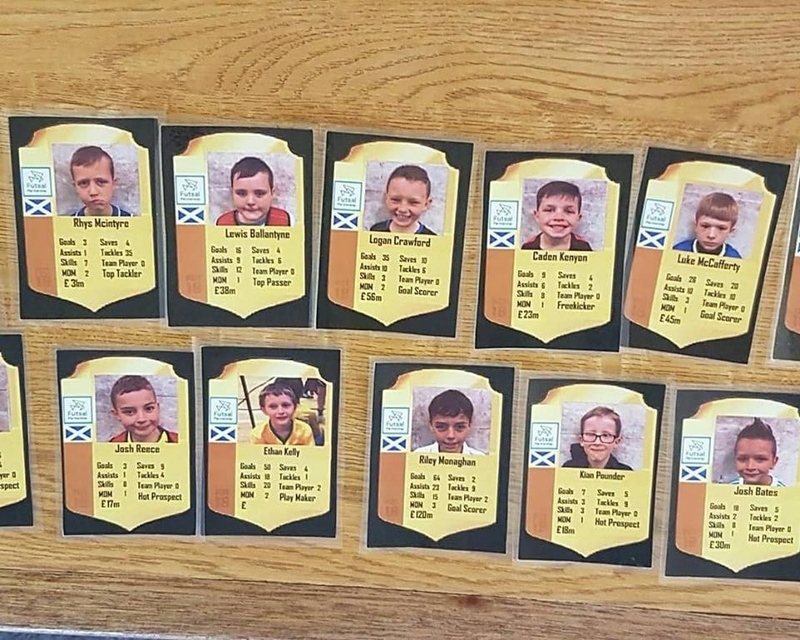 OH AND DID WE FORGET TO MENTION EACH CHILD GETS THEIR VERY OWN FIFA ULTIMATE TEAM CARD WITH ALL THEIR STATS FROM THE WEEK! £15.00 per single day, £35 for the 3 days. Places are limited and are offered on a first come first served basis although they are offered to members first. If you would like to book simply fill out the form below or email your requirements. You will receive an invoice which provisionally books your place, their place is secure once payment is received. £15 a day or £35 for all 3 days!